Hello & welcome to my 1st newsletter of 2011! I love the opportunities and the motivation that the New Year brings, the opportunity to take stock of where we are going in our lives and the motivation to take a new direction if necessary. Now is the time to make those New Year resolutions to change and improve our lives and this year I have two resolutions that I hope will inspire you as you make your own plans for 2011! This particular print is one of 16 similar prints contained in a book that was published in 1912. I know that if I spend just a few more hours of my time the possibilities to make huge profits in this business are endless, for example I could have another copy of this very same book delivered to my address within the next few days. There is a website that is currently listing this exact book (same 1912 edition) for sale at $77.62 plus postage. That’s right, 16 similarly sought after book plates for $77.62 plus postage! (that’s around $5 per plate!) But that’s not the whole story, there is also a modern edition of this book containing the same illustrations available at the same website for $17.77 plus postage. If I can sell one book plate from the 1912 edition for $386.73 I’m sure I could sell the modern reprints for $20 or $30 a piece to collectors who can’t afford the first editions and I can obtain an unlimited supply of the modern edition! I could mount/mat the images from the new book or print and mount/mat the scanned images from the 1912 book and sell them as a limited edition collection of 16. 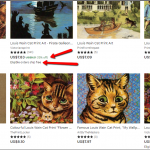 Why restrict my market to eBay? Why not sell on Amazon as well? As I said, the possibilities are endless, I just need to spend a few more hours a week! Click the book cover (to the left) NOW! for your exclusive subscriber only discount. My second resolution for 2011 is to dedicate more of my time to creating new information products. I didn’t work over the Christmas holiday period, I took a week off to spend with my family but during those 7 days I still made money. Not a huge sum I agree but the key point is that this is passive income from the sale of my products (and commission from the affiliate links within those products). I didn’t sell anything on eBay, I didn’t promote anything to my list. Selling information is the perfect business for 2011 because once created your digital product becomes a completely automated income generator. My products are delivered instantly to my buyers 365 days per year regardless of where in the world they live and every 2 weeks my bank account is credited with the proceeds and all this happens without me having to lift a finger! 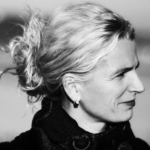 But the very best thing about the info product business is……….. anyone can do it! That’s right, you can do this to! Don’t worry, I have all of this and much more covered. Over the last few weeks I have been working on my latest product and I have recorded every step of the process on video. I have included written instructions and links to the tools I use in my own business and the result is my “eBook Creation Masterclass” which comprises over 3 hours of easy to follow video tutorials broken down into bite sized chunks. The product is topped off by my Skype ID, my cell phone number and a dedicated email address with my undertaking to provide unlimited and ongoing one to one support, advice and guidance. This product isn’t available to buy just yet but if the prospect of working with me to build your own info product biz excites you, then read on for details of how you can win a place in my eBook Creation Masterclass. My “kick off 2011 in style” Competition! and tell me about your own online ambitions for 2011, let me know what you want to achieve and how you plan to achieve it. I will choose one comment and the author will win a place in my eBook Creation Masterclass! So if you have an idea that would make a great eBook but you just don’t know where to start to make it happen, submit your comment and in a few short weeks you too can be watching the sales flooding in!! Best of luck with the competition and your online ventures in 2011! 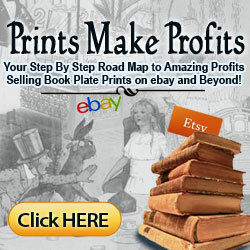 As a newbie to the ebay scene , I am very excited about all the endless and creative ways to generate income. 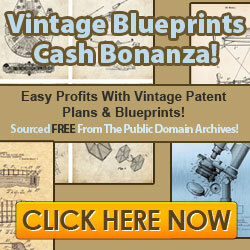 Who would have ever thought that public domain sites with FREE pictures, patterns and etc could yield income.!!!!!! That’s a brilliant quote, Beth! The internet presents so many opportunities to make money that it can be difficult to find the one that will work for you. 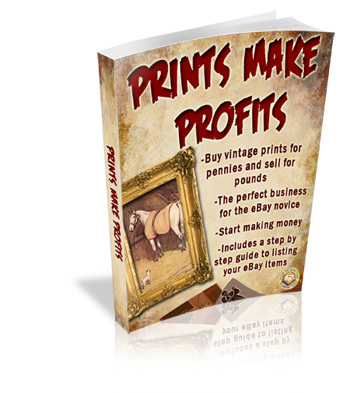 Just wanted to say “Thankyou” for the information in your Prints Make Profits (or should that be POUNDS?! lol) ebook which I have recently bought. It is refreshing to read something that deals in actual facts and not generalities. I have had a good look through and have had it at my side as I follow your instructions, and although I haven’t found anything HOT yet, I am sure that this is time of year etc, and can see exactly how this can work, and how it can be expanded into other areas eventually. I have made several attempts in the past to start making money online, but LIFE always seems to get in the way. Not any more! I am determined that 2011 is the year that I finally start working properly towards achieving my goal of making an income at home. I am an intelligent person, there is no reason why I can’t do it. The only person stopping me is ME. So here’s to a GREAT 2011 for us all! Thanks again! With your positive attitude, Karen and the right guidance you will get there! Sorry it took so long to get over here, but work (as in J-O-B) has kept me really busy! Thank you so much for the Skype chat and looking at my book, I am diligently working on it! I learned enough about you during our Skype chat, Lisa to know that you have all of the ingredients to be a success online. Keep working at it and you will get there! Thanks for the positive feedback and do drop me a line if I can offer any more help. I have been a collector of cigarette cards for about three years now since a friend bought me a couple of sets around that time. I have become addicted to the hobby and would really love to write an ebook, make a site etc, about the art of collecting them. I have tried a couple of times recently and got stuck each time with the intricacys of doing this. I know i can get stock pretty easily of sets that i have more than one of and also replica sets of ones that are impossible to get. I have done research on the net for this, although there are not that many sites on collecting this subject. I have not come across any ebooks on the subject either and that is why i think it can be a lucrative market for myself to get into. Who knows where it could lead to with a bit of guidance of the correct way to do this. There is far more to a card than just it’s maker, they are a piece of mostly forgotten are covering almost any subject that one can think of. Keep up your good work of helping others to succeed. It sounds like my eBook Creation Masterclass is just what you need, Vince! I have followed your progress almost from the beginning I think and am inspired by what you have achieved. I would be delighted to have the same kind of success but seriously need my hand holding in some situations – usually where inspiration fails, or hurdles appear from nowhere. Somehow life just seems to get in the way! There must be a method of harnessing that kind problem and using it to my advantage, but it defeats me how! Like a couple of comments before me I am once again inspired to resurrect all the stuff I have already got sitting on my shelf and sift through for the useful stuff, including yours. Any pointers you can give along the way will be most gratefully received! Keep up the good work and supportive interaction I have personal reason to know you give your customers and readers. Here’s to all of us in 2011! I genuinely believe that anyone can succeed at this business with personal determination and the right guidance. Your persistence, Jayne proves you have the determination and my mission is to provide the guidance. I promised myself I would put more effort into my IM in 2011. So far I haven’t done much. I have just started a new job(still in employment I’m afraid) but I’ll have a few more pounds to spend on IM. I have two blogs on the go, I am also in JT’s Masterclass and I earned $121 last month in affiliate sales. I promoted John Thornhill’s APF, which gave me these commissions, one of which was an upsell. That should give me enough incentive to crack on. I am also writing an e book, done first chapter. The e book is aboy Bankruptcy, something which I have experienced, not that long ago I may add. I need to crack on with that one. I am determined to finish it, whether it sells or not I will carry on. If nothing else it will be an experience. Stuart, every time I receive an e mail from you I think of the video you did for John as a testimonial, sitting on a beach with your laptop when all your buddies were in traffic on their way to work, that’s what I call class, and something else I saw John’s new Beamer on Facebook. It makes me think, will I ever get to that stage. Stuart, good luck for 2011. Hey, Donald you’ve made sales, you are on your way! You sound a bit deflated but you really shouldn’t be, you’ve proven to yourself that these methods work, crack on and get that product finished! Thanks for that comment. I do get deflated sometimes, but like I said I’m determined to improve this year. Everything was on hold for agesespecially John’s Masterclass but all that will change. Good luck with your own Masterclass, hope it’s a success. I see you got a mention in Jim Cockrum’s latest sales page on e Bay.. I want to write some ebooks encouraging and helping people to adopt children. My wife and I have adopted four children ourselves (we’d like to do more, but need more income). I would like to help others make a difference in the lives of children by adopting them! An unusual and inspiring choice for an eBook, you have my admiration. Great information as always. You are one of the shining lights in the Masterclass and from a personal point of view I really like the way you look after and interact with your customers. I would encourage everyone who reads this post to leave a comment to try and win a place in Stuart’s eBook Creation Masterclass…and if you’re unlucky I can tell you you’ll be in safe hands with an ethical and really nice marketer, so you’d do well to jump in when it goes live. Hi Stuart! You will get a wonderful book about blogs. Me like! You are well written and detailed. Thanks for the positive feedback, Alex! Your English is coming on so keep working at it. Happy New Year, Stuart. Good luck with your plans for 2011, I’m sure you will be even more successful than you already are! As for me, I have been working hard in 2010 with two other marketers on a couple of niche area membership sites and these will both be launched early this year. After that I have 2 other sites (not membership) I am currently working on with the same marketers and we want to get them online a bit later in the year too. And of course I will continue to moderate JT’s Masterclass forum as I love helping other people out. Sounds like you have a busy year planned, Mandy! It’s been awhile since we have swapped emails but I still read your newsletter faithfully and looking forward to your new product launch. You may not remember but last June you suggested to me that in your opinion it was time for me to start creating my own products. I took your advice and have a couple of books on my hard drive that I created, but I’m stuck with where to go with them, so your new course is coming at just the right time for me. I’m not new to Internet Marketing or selling on line but I know nothing about creating a quality, marketable ebook. My goal for 2011 is to “Create My Own Products” to add to my other income streams and increase my earning power. Good to hear from you, Jeff! Glad to hear you took my advice! I Have several ideas for e-books that I would like to launch in 2011. I have a very diverse background and education to provide topics. However, I have never done an e-book therefore I have been browsing several websites until my head is spinning. I am looking for useful information on how to create this task . I have joined paysites and have bought some programs that have not provided me what I needed. They only provided an introduction followed by a sales pitch for buying the next book or membership program. Therefore, I have become very skeptical on spending money on additional programs. I truly think with the right training my e-books could be a real online success in 2011. Thanks for your contribution, Chris! My eBook Creation Masterclass covers the whole subject from choosing the niche for your product right through to selling it on ClickBank. No important piece of the jigsaw is left out, you will learn how to put together a sales page and a squeeze page, how to use your product to build that all important list and even how to drive traffic! Great post man. The idea of selling prints for profits on eBay has never really crossed my mind but it really shows you what people can sell for a profit on eBay. As for your new product, I would love to get a review copy and promote to my list when its all done…just let me know. Many thanks for the promotion offer, I’ll be in touch with a review copy soon! 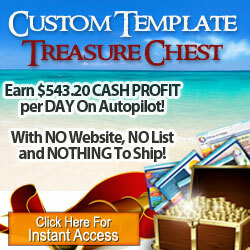 Creating info products is an excellent way to make money online! Good advice! I’m jealous that you have found a unique way to make money out of books, although this isn’t for me. Being an artist I don’t actually like prints, I prefer original works. I will be writing an eBook this year as I am restarting the Masterclass course that I dropped out of in May 2009. Good luck with the Masterclass in 2011! I am very excited about 2011 as I was fortunate enough to talk with a couple of marketers in the latter end of 2010 which helped me to focus on what I should start with. Strangely, I found that I had earned a couple of dollars (literally!) commission through a Squidoo site I made back in 2008, so I did meet my goal of making some money by November (I just forgot to set a figure!) and have realised in a concrete way that taking action gives results. I have been engaged to do some writing, I have two blogs up and running which I need to keep feeding with good quality content, and an ebook that needs finishing and publishing. My other project for this year is to write some PLR and sell a limited number of copies. My goals are completion of the above, and the earning of enough money to allow me to buy an autoresponder service to move on to the next level – regular income that could take care of one of my monthly bills. Congratulations, Anne on that first sale! This is a big step along the road to success because it is the point when all of the theory and ideas become something a lot more concrete. You now know that the right idea plus action equals success. Analyze what you did and repeat it! For 2011 and after a few years of studying the IM business, I am totally committed to making this year MY year in becoming an established online marketer. And, I would like to focus on the heart of Internet Marketing, in two parts – creative advertising and the generation of a responsive list of targeted buyers. I will use myself as an example: I get a LOT of email from many sources but the ones that I WILL inspect are those where I get a feeling of trust from. That means that the sender has established that feeling with me and is confident that I will open the mail and read the contents. HOW does the sender generate that feeling? For me, a low-key approach works very well, where I am not obliged to read a lengthy note with various fonts, colors, etc. I abide by the ‘KISS’ principle in advertising (i.e. : keeping it simple…) to get the point across and not be ‘hollered’ at or made to feel some sort of guilt. We are inundated with all sorts of advertising these days from all media sources, but advertising that is short, simple, and to-the-point WILL result in me paying attention. For me, this method of ad creation will establish a bond with the sender and will also make me look forward to their next mailing. And, it will make me sign-up and opt-in to their lists. As we all know, list building is the main focus of IM and without a responsive list of buyers, our chances of succeeding are very limited. You need to have the right tools for the job and things like an auto responder, creative capture or ‘squeeze’ page, and helpful products will certainly assist in building your list(s). Now, I know you probably are aware of most of this, but the main focus of this note is to make you aware of the bonds between buyers and sellers, and the establishment of trust. There are many tools to work with to do this, but to create a good relationship with your buyers is crucial to IM success and will take some effort. These are my objectives for 2011; using the proper tools to create a list of responsive buyers who will trust that what I am offering will be beneficial to THEIR online (and offline) business activities. Thank you so much, Stuart, for the opportunity to comment and will certainly stay tuned for all developments. Happy New Year to YOU Stuart! I now have several ideas that I am working on simultaneously. of course more info eBooks, but also, publish a PHYSICAL book using a POD (print on demand) service, a couple video courses (like your upcoming eBook Creation Masterclass — but I’m clueless HOW to accomplish THAT feat! ), a complete website and product line based ENTIRELY on Public Domain material, and a way to automate the sales and delivery of all my products! I ALSO want to create a successful membership website! Whew! What a LOT of goals! As I said before, I have YOU to thank for getting me to this point! Anyone who is at ALL on the fence about Stuart’s new product, should definitely get off the fence, take the plunge and get trained to move your business forward! 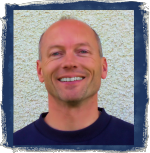 The skills Stuart teaches are easily adaptable to ANY type of niche product – NOT just information! 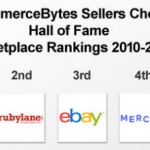 AND, once you have your very OWN product to sell, you can sell it anywhere — including eBay! Again, thanks for all you do – as usual, I thoroughly enjoyed your Newsletter! Thanks for the ‘shameless plug’ Deb!! With your energy and willingness to take action I just KNOW you will achieve your ambitions for 2011! 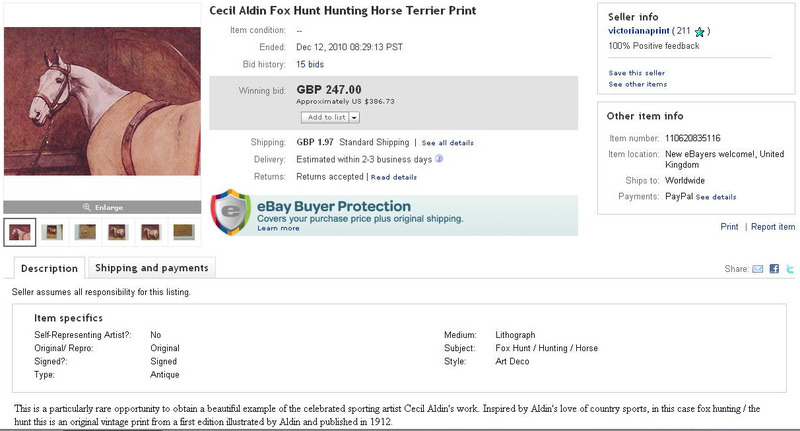 That is a fantastic auction result you achieved with the Cecil Aldin print, and as you say, there is huge potential not only to repeat that but also to diversify and make even more profit from the same, and similar products within the public domain. I have been aware of the potential of using public domain products for some time and one of my goals for this year is to re-read the information I have accumulated (including your excellent ‘Prints Make Profits’ 😉 ) and take action. You have certainly reignited my enthusiasm! 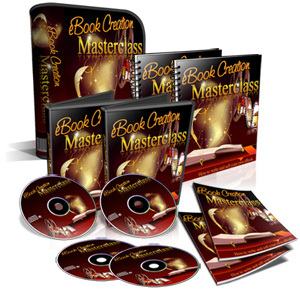 I hope your ‘eBook Creation Masterclass’ is a huge success, and I look forward to reading more of your newsletters and blog posts through 2011 and beyond. Good luck with your plans for using public domain products and when you’ve established a successful business model share it with the world by writing an eBook about it! I guarantee it will sell like ‘hot cakes’! Sounds like you have some big plans for 2011…..
And having watched you from your first product to making regular incomes online – I would recommend anyone who see’s this post try and get in on your class! Good luck with your new masterclass – I’m sure it will help a good few people make this their year too. Best wishes to you too, Randy! As one of the online players who do it the right way (with ethics) you deserve all the success that I know will be coming your way in 2011!